Brussels is the capitol of Belgium, the official capitol of Europe. Brussels is located a few hours from Paris, London, and Amsterdam by train, is over 1000 years old, and is highly supportive of the arts and design. The city is made up of several quartiers, or quarters. Brussels has a compact center so just about everything in this guide is accessible on foot. Heading towards Ixelles gets a bit hilly, however, so there are also metros, trams, and buses for getting around town. Where should you stay for your visit? A special location, a historic identity. It is the kind of place you know you want to come back to, the kind of place that makes you feel nostalgic for it as soon as you’ve left. The Dominican is an unforgettable place. Its interior is unique, its comfort exquisite and its location perfect. Quite simply the best location in Brussels. 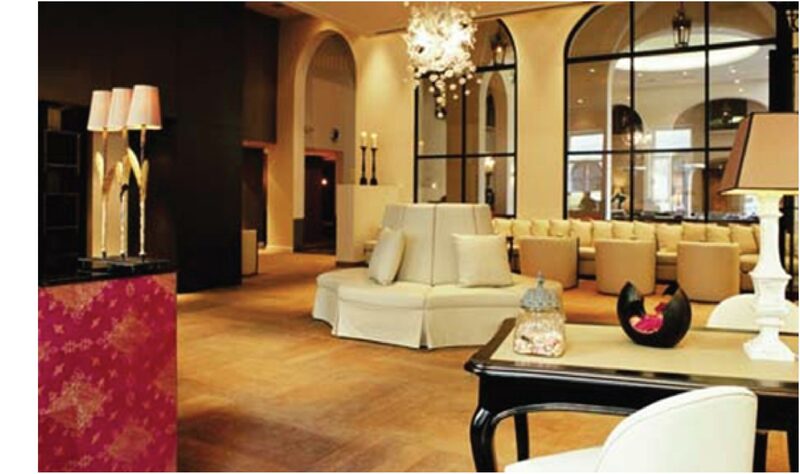 Le Meridien Brussels is ideally located very close to the Grand Place in the historic heart of Brussels. Facing the Palais des Congres and the Central Station, Le Meridien Brussels enjoys direct access by railway to the International Airport and to the TGV/Eurostar and Thalys terminal. The 224 bedrooms and suites are elegant and refined, offering the highest international levels of comfort expected from a luxury hotel. Twelve conference and banqueting rooms are available for those special occasions or business meetings. 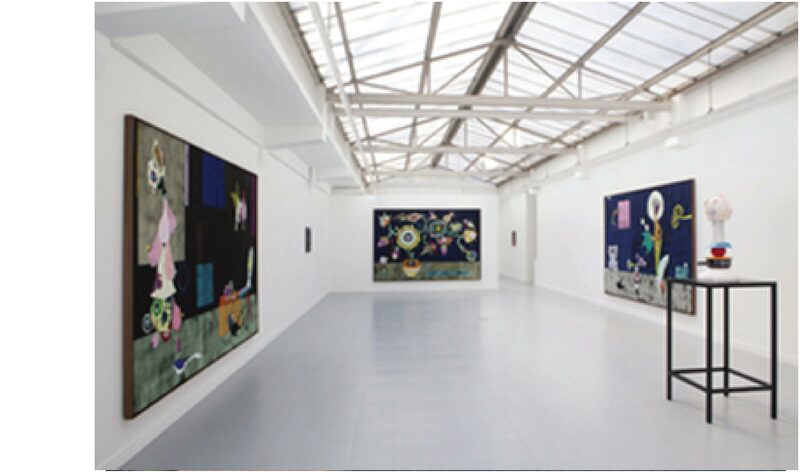 Brussels has several contemporary art galleries and one of the most favorites in the city center is Aliceday. You can visit the gallerie from 2 to 6pm or by appointment, there you will find amazing new artist and be amazed for the different pieces that they show. 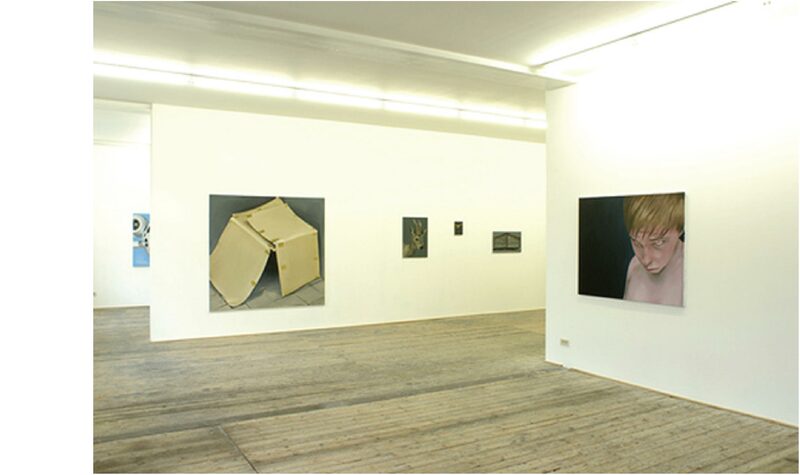 The gallery was founded in 1991, since 1991 the gallery has devoted itself in presenting shows by contemporary artists. Every year in April Brussels also has a contemporary art fair called Art Brussels. It’s an overview of local galleries, well established galleries from around the world, plus a sprinkling of emerging talent and young galleries. In 1995 a handful of enthusiasts decided to form the GLOBAL study centre. The centre quickly specializes in design and management of work spaces. In 2004 it expands its activities to retails, housing and hotels. We selected the best Design Shops for you to have in consideration while you plane your visit to Brussels, at the evening or maybefor a fresh morning. Passage 125 Blaes – Bringing together 25 antiques dealers under one roof, they have everything from19h and 20th century table ware, candelabras, chandeliers, and bathroom fixtures, to art, furniture, lighting, fixtures, and a whole room dedicated to the 1970’s. 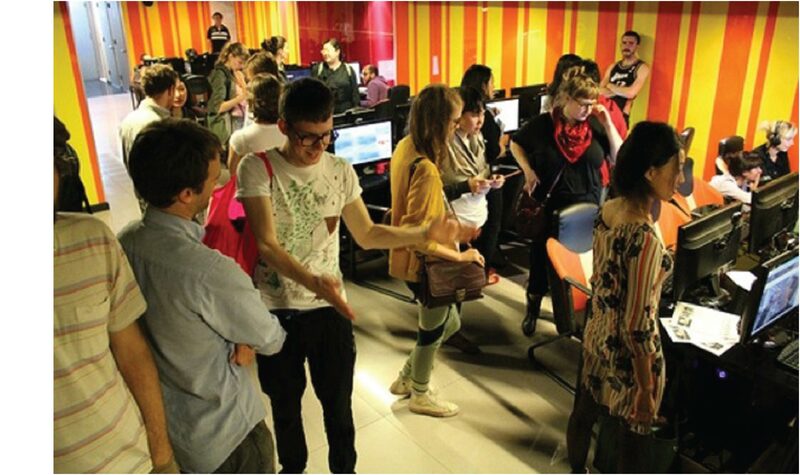 If you are a design lover you must check the Mad Brussels – Mode And Design Center, near by the Centre Dansaert. And also teh Leolux Design Center Brussels. The Leolux Design Centers are advice points, where you’ll find the complete current collection. These spacious presentation centers offer you ample opportunities to try out a seat. If you’re feeling a little bit hungry by now, you can´t wait for the selection of restaurants we made for you. 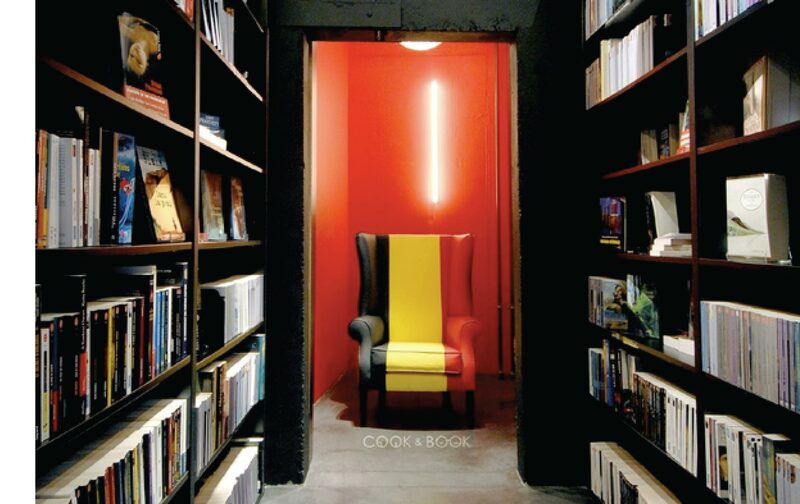 The perfect combitation of design, books and food. Feel this experiance in this design oriented space. Chef Pascal Devalkeneer is at the helm of this sumptuous mansion lost in the middle of woods, a few minutes away from the city centre. His five-course menu allows diners to sample his finest cuisine. Le Pain Quotidien was started right here in Brussels and people love their rustic interior and big loaves of organic bread in the store front bakery. Their café serves soup, salads, and tartines for lunch and you also can’t go wrong with any of their pastries, a croissant, or breakfast items. Right in the Place Sainte Cathérine (look for the big cathedral in the Dansaert shopping district) you can nibble on mussels, oysters, crabcakes, seafood soup, and other tapas-style marine delicacies while sipping champagne. There is something charming about the outside bar service and having a snack in front of the old cathedral. Should we talk about the Museums in Brussels? They are really a must for all the art lovers and there are galleries with some of the most important painters in the world. The Royal Museum houses an impressive collection of paintings, drawings, and sculpture in a beautiful and spacious building. Their permanent collection includes the likes of Jan and Pieter Bruegel, Van Dyck, Rembrandt, Reubens, & Hieronymus Bosch, plus a whole room is dedicated to 20th century Belgian Surrealist painter, René Magritte. A visit to Bosch’s Triptych of the Temptation of St. Anthony is hightly recommended. This is a national treasure. With one of the biggest film archives in the world, the Cinematek is more than just a film museum. They screen several films daily, usually surrounding a theme or director, and you are guaranteed at least one silent film projection each day with live piano accompaniment…and tickets are only 3 euros! This is the former home of Belgium’s leading Art Nouveau architect, Victor Horta. Built for himself in the late 1890’s, his home is a testament to the beauty of the Art Nouveau concept of design. The underrated Belgian painter, Antoine Wiertz, has his very own museum in an old mansion that used to be his studio. A relatively small Museum, it’s ceilings are just high enough to display his super-sized canvases and entry is free to the public. Designed by Art Nouveau architect Victor Horta, the Palais des Beaux-Arts or Bozar as it is commonly known, functions as a museum & concert venue with several concert halls. Bozar’s calendar of events includes rotating exhibitions, live performances and films, so there is always something interesting on view. Their newly renovated museum shop is my favorite contemporary art and design book shop in the city…and it’s open until 11 pm! In Brussels if you want to have a one day relax at the Spa, here are the ones you should consider. A holistic wellness center where ancient wisdom combines with modern techniques to create a luxurious healing center. A personalized yoga session will be the perfect way to start your day. Your specialized instructor will help you release tension and de-stress to eliminate toxins from your body and gain energy. SPASIBA offers a moment of relaxation, a complete break from the outside world, to busy men and women who want nothing but the best, allowing them to reconnect with body and soul. Whether you are looking for massages from around the world, or made-to-measure beauty treatments, just BREATHE… here you’ll be in expert hands. For a taste of the wine quality in brussels, you need to visit The Winery, located along the church Place Brugmann in a neighbour with great atmosphere.A wine shop and wine bar. A place for a feast among friends. This address is completely devoted to worshiping the divine liquid. A new store wine bar and an original concept where you will find your way easily and a wide selection of wines and spirits for all budgets. For some time in a Country Club environment visit LENNIK – GENTRY COUNTRY CLUB NV or Ry Country Club. The last one is a private club with lots of sports to offer, from tennis, to badminton to fitness. In Brussels, there are some Luxury Properties that you can look for. Not far from the Bois de la Cambre, “Brussels Central Park”, prestigious mansion currently used as offices except one apartment. Impressive contemporary villa with minimalist lines on a landscaped piece of ground of +/- 2.566 m². Built surface of +/- 1.100 m² + large terrace and large basement with a garage for 8 car. Advanced materials for construction as the finish Hydraulic panoramic elevator, beautiful swimming pool integrated in the roof of the reception. Now we leave some Points of Interest for you to consider to visit while planing your visit to this amazing and artistic city.